Brown lips. Shades of brown are back in for lip shades. If you are not into dark brown shades, try a more neutral lip color that matches closely with your natural lip color. If you are looking for a more dramatic look, go for a dark brown lip. Natural brows. In the past few years, bold brows were in. Things are changing and more natural eyebrows are now more popular. Simply clean up your eyebrows and go with your natural look. Matte look. When choosing a foundation, look for a matte style that will give you a classic and clean look. This is especially helpful if you have oily skin. Brush up on your eyeliner skills. Experiment with different eyeliner techniques. Try a cat eye, a heavy eyeliner, or a soft smudgy line. Metallic lips. Metallic colors look fun and beautiful. You can go more neutral or bold like red or pink with a metallic twist. You could also try a metallic eyeshadow. Colored mascara. If you want a more festive look, try a colored mascara like pink, blue, or green. Glitter is getting more and more popular, even in older women. It can help brighten up your face and give you a splash of fun. You can go bold with glitter eyeshadow or lips or just use a little shimmer on your cheeks or by your eyes. If you need some help with figuring out what colors look best with your skin tone and hair color, ask a makeup artist for help in finding some new looks. How will you change up your makeup look in the new year? What products do you generally use every day? 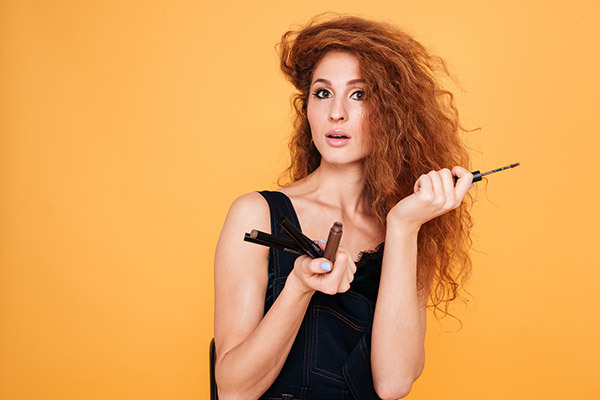 If you enjoyed this article, please SHARE with your friends and family who love getting makeup tips!